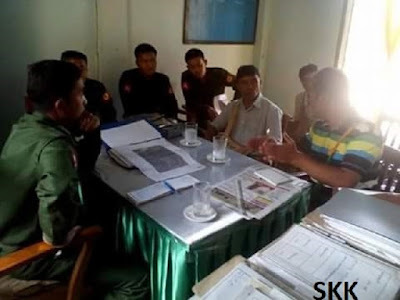 A number of rural families in southern Shan State’s Laikha Township are to be given back lands that were confiscated from them by the Burmese army more than 20 years ago. According to Sai Htun Aung, an MP from the Shan Nationalities League for Democracy (SNLD) representing Laikha Township, village elders and MPs met with representatives of the Burmese military on April 28. He said that the military officials agreed to give back the villagers’ lands. “We have submitted details of the case to the Shan State parliament. The deputy minister of defense told us that they would return the lands to the rightful owners,” said Sai Htun Aung. “We are now moving ahead by checking and preparing the land. “[Burmese army] Battalion No. 515 seized the residents’ lands in Honar Wanparng tract when they set up their base there in the 1990s,” the SNLD lawmaker said, adding that the farmers claim about 184 acres of lands were confiscated. He added that no timeline had yet been laid out for when Battalion No. 515 would officially hand over the lands. Shan Herald reported on April 28 that the residents in Kha Laing village in northern Shan State’s Hsipaw Township had gathered in the street to demand the return of their lands from the Burmese military. During the era of the military junta, arbitrary seizures of farmers’ lands were common across the country, particularly in Shan State. By the 2000s, much of the seized land had been rented out to agri-business firms, and a massive government campaign was initiated to encourage investment in the harvesting of jatropha oil. Ultimately, the scheme failed; investors lost great sums of money, while farmers lost land and livelihoods.